Always load the correct fiber into the machine, the print parameters are different for each fiber. Eiger attempts to create a sandwich panel, which is the aerospace version of an I-Beam. By default it will place fiber on the top and bottom of your part. Minimum Continuous Fiber Length (610mm): The Mark One prints continuous strands of fiber in 610mm lengths. If your part or layers of your part contains sections that are smaller than 610mm, they will not fit fiber. Locate the Use Fiber setting and turn it on. Select the type of fiber you will be printing (Carbon Fiber, Fiber Glass or Kevlar). Additionally a few more settings will appear in the Advanced Settings dropdown. Fiber Layers: The number of layers that contain fiber on the bottom and top of your part. For example if you use 10 fiber layers your part will have 10 layers on the bottom and 10 layers on the top. Roof Above Fiber: The number of layers between the top of your part and the start of the top of the sandwich panel. Use this setting to control where the top of the sandwich panel begins. Concentric Fiber Rings: The maximum number of rings Eiger will attempt to insert on each fiber layer when using the Concentric fill. Once you have configured the fiber in your part press Save to apply the changes. If a layer is not large enough to contain fiber (about the size of a quarter), the part will revert back to plastic (automatically). For engineers who want full control of the fiber routing, Eiger lets you edit the part layer-by-layer. The Internal View shows the Part's internal structure. Use 2D view to edit individual layers of the Part. Use the slider at the bottom of the screen to scroll through the layers or or select an individual layer. Click on the Edit menu in the top right to get a list of editable settings for the selected layer. Here you can change what the plastic infill pattern is, turn fiber on or off and insert a pause after this layer has finished printing. The Mark One embeds continuous strands of fiber. In a given layer, there must be enough area to route the fiber. The minimum area is about 1" square . Sections smaller than this cannot have continuous fiber, and are below the minimum feature size. These will automatically be filled in with plastic. This iPhone 5s case has two rings of fiber, which is the minimum size required for a layer. Here is the same iPhone 5s Case in 2D editing view. The yellow lines depict the Kevlar rings. More fiber can be added. Here is the case filled with fiber. Note: the center is not large enough to completely fill with fiber (which has an integer width. You are looking at the remainder). 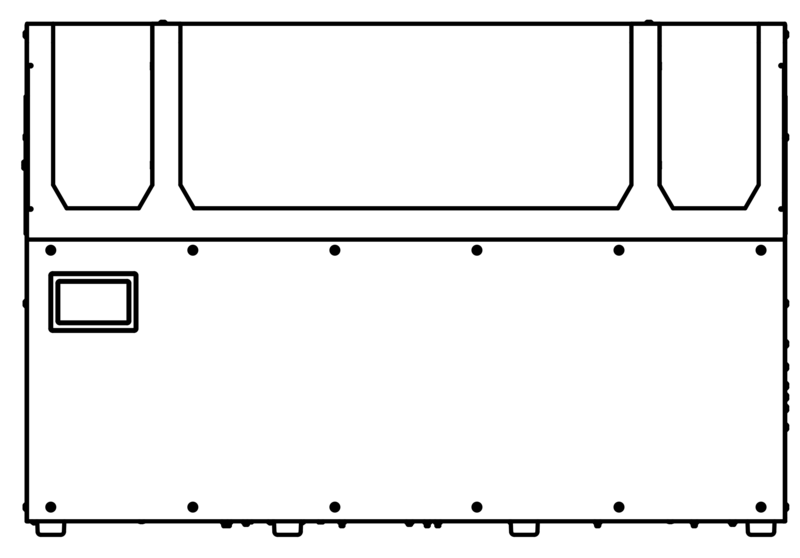 The walls of the case are too thin to fill with continuous fiber. There is not enough surface area in each section for the minimum fiber fill. Here's an iPhone 6 case that demonstrates various infill limitations. Adding up many layers provides complete fill. Individual layers may not be able to fill fiber in each section (nylon will fill the gaps). Note the fiber gaps at the upper right, and lower left position. Eiger automatically fills these gaps with nylon. Again, note the nylon filling in the sections fiber can't reach. Note the nylon filling in the sections fiber can't reach. While there are small gaps in the fiber fill in some layers, rotating the fiber angles means the gaps don't overlap. This makes the overall part extremely strong. This quad copter will demonstrate some of the fill patterns for small areas. Large areas are filled with fiber. Notice the base of the part (in back) has lots of fiber. Small areas have thinner fiber sections. The bottom of the arm shows one ring of fiber extending through the arm. The top of the arm has three rings of fiber. 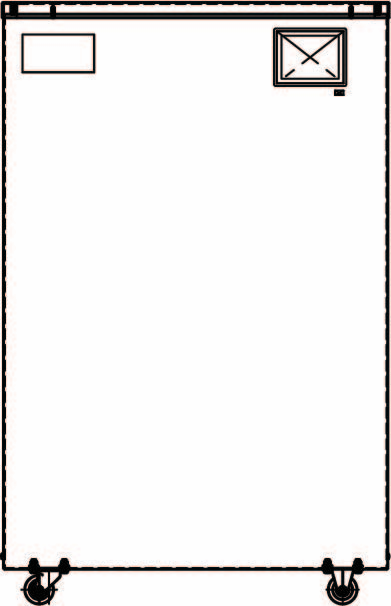 The 2D editing view shows the lower fiber layer. Note the fiber "flows" around the part, following the wall. The base of the part has plenty of room for many fiber layers. The arm of the part gets skinny, and only allows 1 ring of fiber (2 strands) to extend all the way around. The left and right nacelle's do not have enough area on their own for a separate strand of fiber, so they are filled with nylon (automatically). Thicker walls, further up the part, enable more fiber to be placed. This layer could be entirely filled with fiber, but the maximum strength to weight comes from filling the outer portions of the part. Having 2-3 plastic walls provides great surface finish on your parts. In many aerospace applications, we reduce walls to 1, which allows more room for fiber fill. It also puts the fiber further out in a given layer, increasing the cross-sectional moment of inertia, which increases strength to weight. Nylon walls set to 2, allows one fiber path in arm. Nylon walls set to 1 allows a second fiber path in arm. Minimum feature size: This means that not all areas of your part can be filled with fiber. The algorithms employed by Eiger to fill your part do their best to make sure that as much fiber will fit into your part as possible. The fiber has a integer width: This means the width must be accounted for when the fiber makes turns. There are some corners and turns that the fiber can't make. There are also some spaces (remainders) that cannot be filled with fiber. They will automatically be filled with nylon. 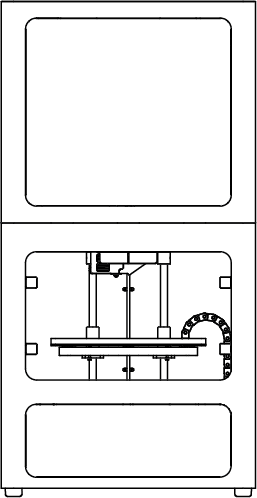 The fiber cannot print over mid-air: For best fiber adhesion, fill the layers below with 100% plastic fill so the fibers have something to adhere to. In the Internal View you can change the plastic Fill Type of a layer to floor or roof to give it 100% fill.